The cost is very reasonable at just $5.99. But what makes the Optimum Scouting Annual NFL Draft Guide such a great value is the fact that it is the most up to date guide available. Traditional print draft guides were written months ago. They do not have up to date information. The Optimum Scouting Annual NFL Draft Guide was completed just this week and is up to date as any draft guide can be. Eric’s team has the experience and expertise to do the job right. I recommend the Optimum Scouting Annual NFL Draft Guide to all my listeners and readers. 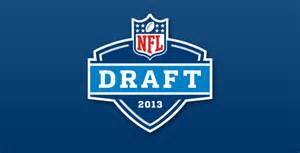 It is available at http://www.optimumscouting.com/uncatagorized/it-s-ready-get-your-copy-of-our-2013-nfl-draft-guide.html. Be ready for the draft and check it out.